Ever sit in bad late a night trying to read your favorite Stephen King novel all the while trying not to disturb your partner? Of course, I know they make book lights, those weird headset lights, and all those other illuminated contraptions for such a problem. But these are just way more fun than an uncomfortable hunk of metal on your head, and frankly, wicked cooler as well. 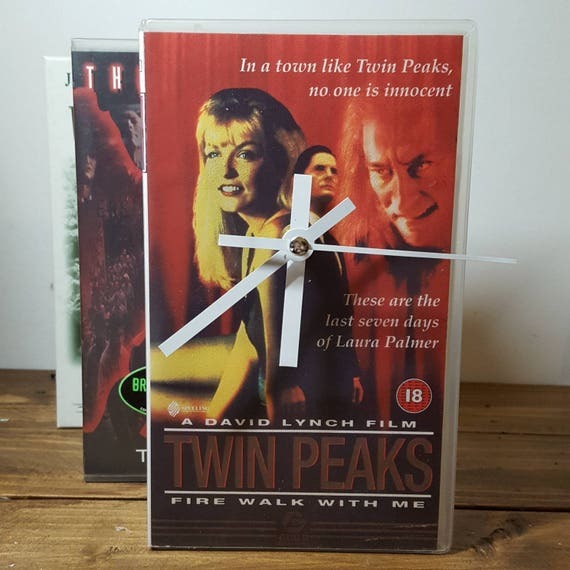 This past Summer, I stumbled upon the most beautiful little Etsy shop filled with VHS fuzzies of glory. And goddamn if it isn’t worth another shout out. 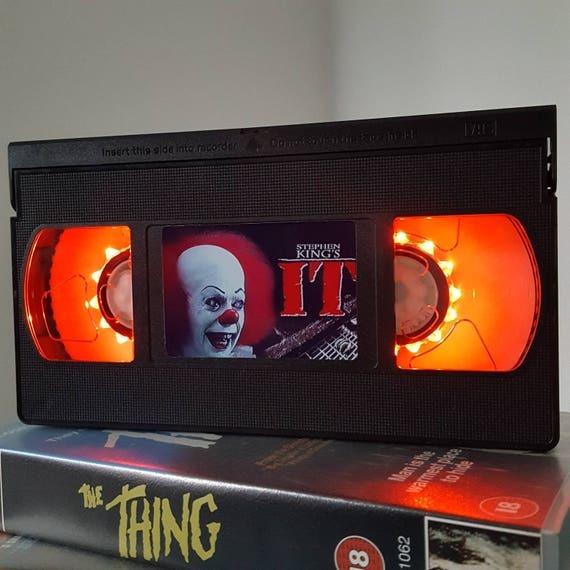 Behold, the Horror VHS Lamps! 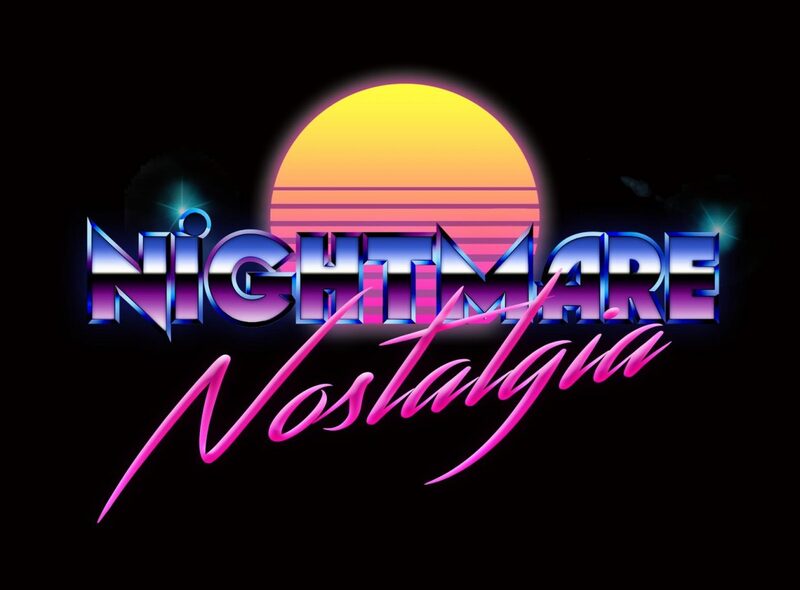 More recently, upon the success and massive demand for the appropriately named lamps “VHS Brightlights”, Summers dabbled into making desktop timepieces. 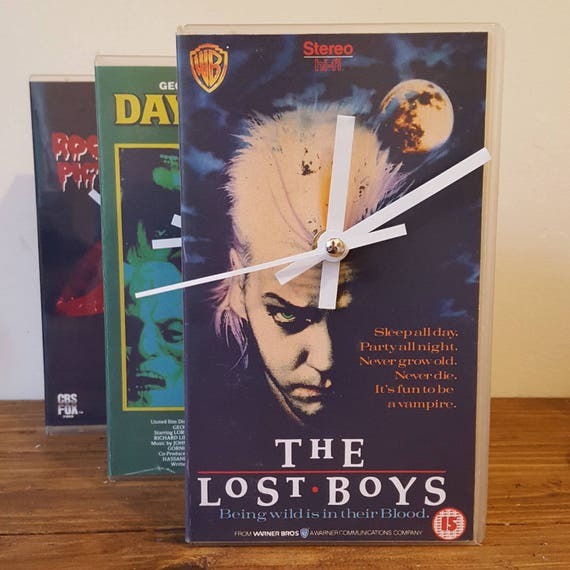 Taking old-fashioned VHS cases, much like the ones you’d find at your local mom and pop video rental shop back in the day, and transforming them into working clocks perfect for your office desk! And of course, your’s truly had to have one for my own little work area. Make sure to follow VHS Brightlights on Instagram by clicking here!